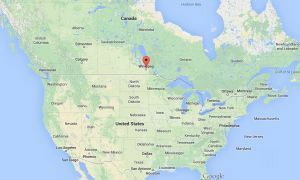 Heat your swimming pool with solar even in Canadian Winters.... These 4 collectors heat a 38 x 18 foot pool from 62 Deg F to over 85 Deg F by end of may in Ontario. The excess heat then goes to heat the hot tub. Multiple collectors can be added together to meet your home or business hot water needs. 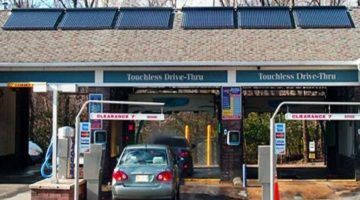 Solar Car washes are the perfect application for solar water heating. Everyone washes their cars on a nice day..... You could turn off your commercial gas for 6 months of the year!!! Free Simulation Reports and Free Design. Find out just how much our solar thermal systems can save you! Evacuated tubes will still produce hot water even when it is -40 Deg C outside! Ideal for solar space heating in the winter. Solar Water Heaters are an ideal way to save on your domestic hot water heating bill and can also be integrated with any hydronic heating systems such as radiant floor tubing to help reduce your homes heating cost by as much as 60% in the winter. For Car Washes, Laundromats, Pools, Hotels, or any other larger hot water consuming business. 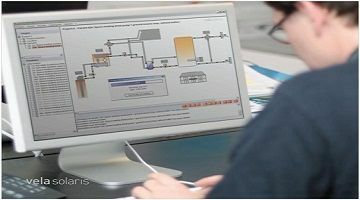 We help with the complete project design and this includes online monitoring to ensure the system is always optimized. Solar Pool Heating in Canada and Northern USA with solar vacuum tubes has many advantage. Regular solar pool heaters only heat on sunny warm days. Maximize your pool season with our solar pool water heaters for indoor or outdoor pools. We aim to provide the best solar water heating equipment at the best possible price. If you are a contractor or company and wish to install or sell our solar water heating systems then we can work together to help you with the design and installation of any size system from small residential to large commercial water heating projects. 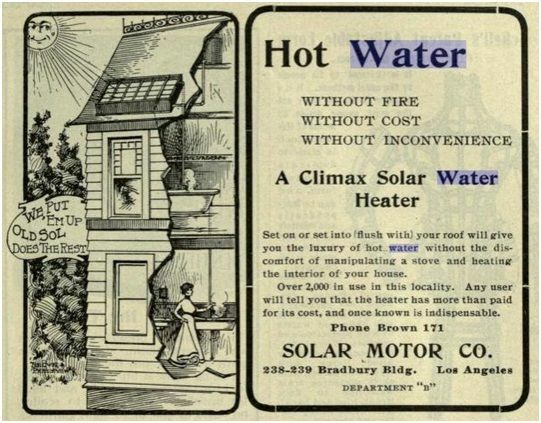 Solar water heaters have been used for over 100 years and the 1st set of solar water heater were commercially available in before the 1900’s. Residential solar water heating systems were basic black tanks placed on top of the roof. The black paint absorbs the sunlight and heats up the water in the tank. The concept today is evolved to a much great level of technology and temperatures reaching 400 F are possible. However the basic principle of solar water heating is the same. The sun’s radiation is absorbed and transferred to the water directly or indirectly through a heating fluid and a heat exchanger’s loop. Modern day solar heating is now possible in almost any temperature or climate with the introduction of vacuum tube solar water collectors. The vacuum tubes are similar to a thermos and as such loose less than 3% off the heat they capture. This means solar water heaters can provide water heating year round regardless of the outdoor temperature. The evacuated tubes are also able to deliver high temperature water for commercial solar heating and industrial use which has greatly evolved the way solar energy is being used. In North America most people know solar water heating in the form of solar pool heaters. These black plastic mats sit on the roof of houses and provide free energy for pool owners. However they are limited in their capacity. 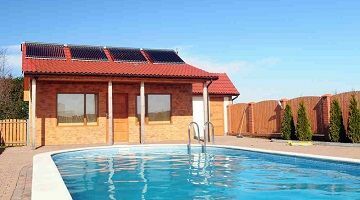 Modern High Performance solar water heaters can be used to provide both pool heat in the summer and space heating in the winter. 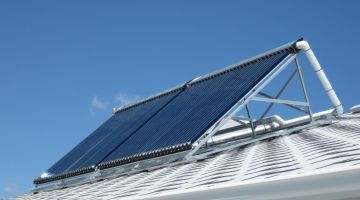 The popularity of solar heating has tripled in the last decade with states such as Hawaii mandating solar water heaters on all new home construction. 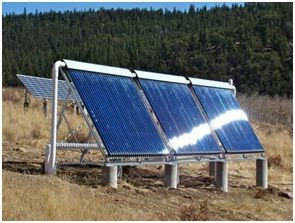 Traditional Photo Voltaic panels capture about 15% of the solar energy where by modern day solar vacuum tubes can capture 60-80% of the energy. This makes solar thermal much more efficient when heat energy is required such as home heating, domestic hot water and pool and hot tubs. Solar Thermal energy is also used to create electricity by creating high temperature steam that drives turbines. The largest solar power plant in the world uses solar thermal energy to generate 392 MW of power. The Ivanpah Solar Thermal plant is located in the Mojave Desert uses concentrated mirrors to reflect the sun’s energy to large heating towers providing thermal energy to create supper steam to drive the turbines. A major advantage of solar thermal energy is that it can be easily stored for use as needed. This is done by using highly insulated solar hot water tanks to store the energy. The energy can then be pulled out during the evenings or as needed. Unlike solar PV there are no costly batteries, charge controllers or inverters that that are needed, just a simple solar water tank is all that is used. 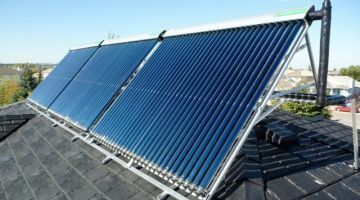 For homeowners and commercial businesses that want to save money and invest in Green Energy, solar thermal water heater systems are more practical to provide direct heat energy than using Photo Voltaic energy to create heat. A home owner can buy a simple solar domestic hot water heater for as little as $3000. The investment also is eligible for tax incentives that in some states in the US can be as high as 80% of the cost. This make solar water heating an ideal investment with great returns for residential and commercial heating applications. "Solar Vacuum tubes Qualify for 30% Federal Tax credit in USA. find out more..."